TREDD - Test Requirement Driven Development focuses on improving the efficiency of the product development process. It allows Agile methodologies, such as SCRUM, to execute and deliver product features to the marketplace with greater effectiveness and efficiency. Test Requirement Driven Development places a renewed emphasis on quality and accountability, and provides the insight to allow your product development and management teams to make the necessary changes in order to produce outstanding quality products on schedule, in a cost-efficient and highly collaborative manner. Central to TREDD is the Test Requirement. The test requirement brings the contributions of the QA team to the beginning of the product development lifecyle (a.k.a iteration in scrum). This provides the product development team to focus on the true requirements of the features being developed. Additionally it provides the developers with the ability to develop and test those features. Once the features are developed the QA team is validating quality, not hunting for defects. 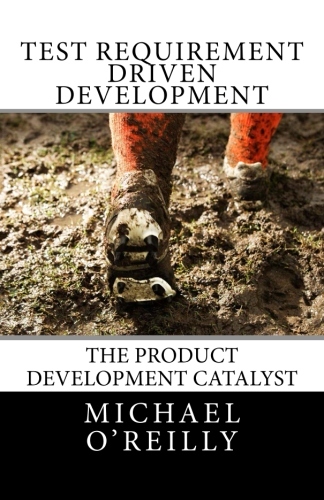 What separates the test requirement from other development methodologies likeTDD (test driven development), ATDD (acceptance test drive development), or BDD (behavior driven development), is the status of the test requirement when the product development lifecycle concludes. Test requirement status is the breakthough element that allows test requirement to provide an objective measurement to the quality of the product development team, so that adjustments can be made for subsequent product development iterations that will ensure quality improves, as well as increase the effectiveness of the product development team.